– lying, again | brainsnorts inc.
It’s about lying, and more than just regular lying, like a kid lying to his mother about not having homework, I mean a national figure knowingly lying through the media to the American people. 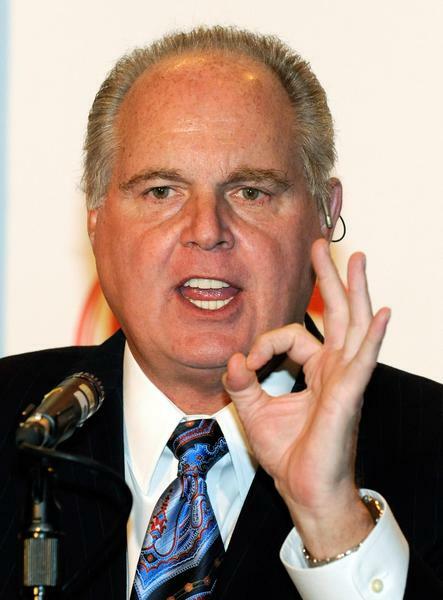 Rush Limbaugh today talked about how the state of Arkansas cut some of their state sales taxes. The fear was that there might be a revenue loss. However, cutting the sales tax caused people to get out and spend some money, knowing they’d be automatically saving roughly 6%. The increase in spending actually caused an increase in revenue instead of the loss that was predicted. this because they don’t sit on their money until there’s a drop in sales tax. If they need, they buy without hoping to save 6% in sales tax. But that’s not how Rush spun it. demonstrates by tax cuts are so important. Literally, he was correct, but not when you strongly imply that the Bush tax cuts were responsible for this revenue increase. the same GOP talking point: “The American people do not want this plan.” It’s a very ambiguous statement, but it’s a very easy lie. What does “the American people” mean? Literally, it should mean “all” of the people, but that’s not possible. If I say “the team,” that means all of them, but it doesn’t have to. I can say the words “the American people,” while only thinking about one segment, such as those American people with whom I agree, and I’m sufficiently covering my lie. The proof is that every poll leading up to that healthcare vote clearly showed that more than 50% of “the American people” said yes, we want that plan. August 10, 2011 in economy, politics, republicans. I just even hate is face. I hope he dies of male breast cancer. I don’t care that that’s fucked up. Bye bye. You are not alone. Many others share those feelings.